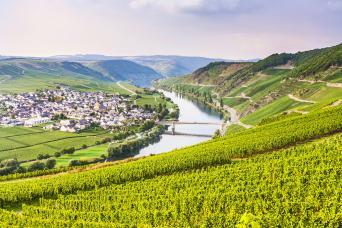 Pedal from historic Prague in the Czech Republic to the beautiful city of Dresden in Germany, the Germany Cyclists’ Federation have crowned this route Germany’s Top Cycle Path for 12 years in a row — and with good reason! 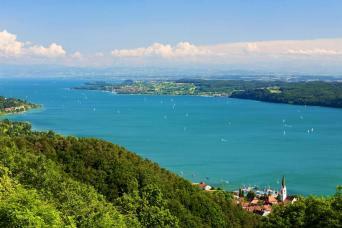 Cycle beneath green mountains, through lush meadows and vineyards, and in the shadow of impressive sandstone massifs. Stay in riverside towns filled with cliff-top castles, vineyards and charming architecture. Visit the UNESCO World Heritage City of Prague, discover its Romanesque chapels and cellars, Gothic cathedrals, Baroque palaces and gardens, and delightful Art Nouveau architecture, plus a myriad of museums and art galleries. 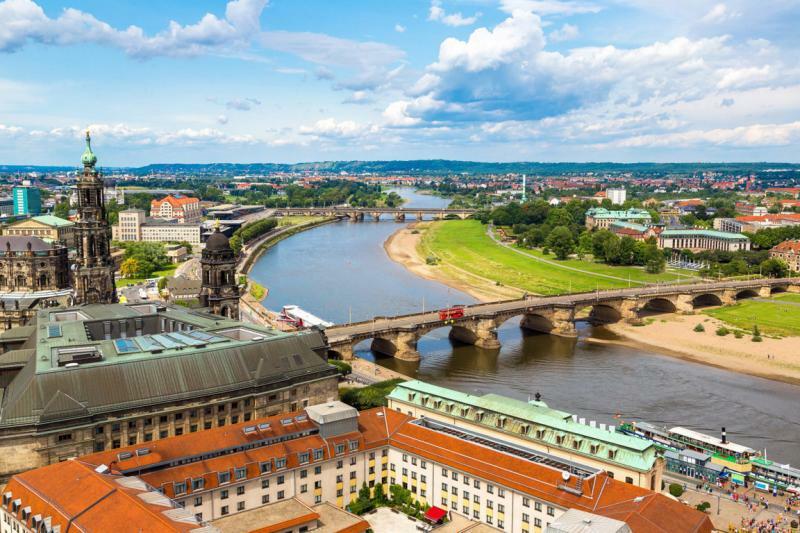 Discover Dresden, the ‘Florence of the Elbe’, you’ll have plenty of time to soak in the spectacular nature of German Bohemia and the Saxon Switzerland National Park. Arrive in the 'Golden City' of Prague. You'll be spoilt for choice of things to see, with Prague's incredible architecture, museums and galleries, and of course the castle itself. Relax with a beer, soak up the lively atmosphere, or wander around the pretty cobbled streets and enjoy the sights lit up by night. The 106-room Hotel Expo is conveniently located next to the historic quarter. You’ll stay just steps away from the Krizik’s Fountain and the Royal Park-Stromovka. Rooms are comfortably furnished and the hotel offers free WiFi. After a hearty breakfast, set out to explore the city independently. A must-see is Prague's impressive castle and Gothic cathedral of St Vitus. 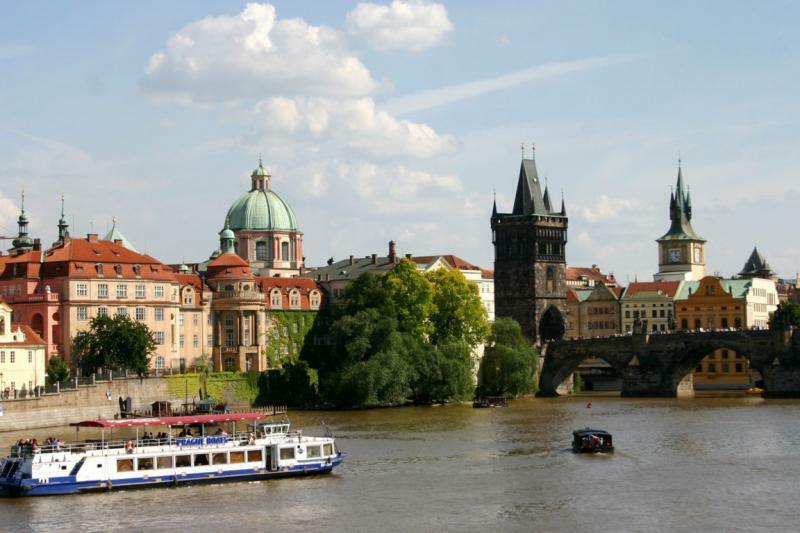 Wander alongside and over the Vltava river, crossing Prague's iconic bridges, including the Charles Bridge. Make time for a coffee or cool glass of Staropramen and the chance to people-watch in the main square, with its distinct Baroque architecture. By night, Prague comes to life with a lively crowd enjoying the bars and restaurants. After a hearty breakfast set out on two wheels from your hotel. 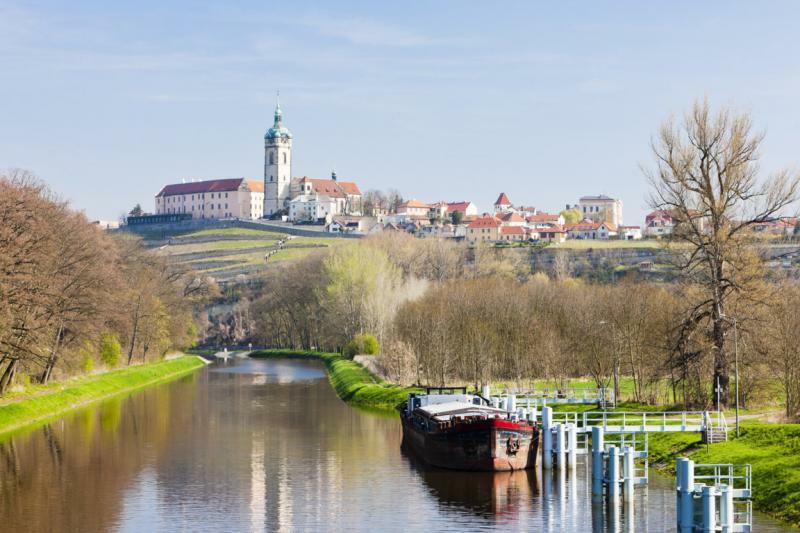 After a short uphill section you’ll find yourself taking in the river views as you pedal along the Vltava and into the old wine town of Melnik, the centre of the Czech Republic’s Bohemian wine route. Pay a visit to Melnik castle, with its Renaissance style and fantastic views over the confluence of the Elbe and Vlatava rivers. Why not celebrate your first day’s cycling with a glass of local wine. The friendly 29-room Hotel Paganini is located in the heart of the old town, with an elevated position overlooking the Elbe river and just 0.5km from the cycle path and Melnik castle. Cycle along the river valley to Terezin, the former Jewish ghetto which is a poignant and humbling place. Continue pedalling to historic Litomerice, established in the 10th century on the site of a Slavic fort and regarded by many to be the most beautiful in the Czech Republic. Admire its colourful buildings in the Gothic, Baroque and Renaissance style. Litomerice also boasts an extensive underground tunnel network linking the numerous wine cellars, of which 366m are open for visitors to explore. This charming guesthouse is found on a cobbled street close to the Baroque St Wenceslas Church, just 200m from the town square. 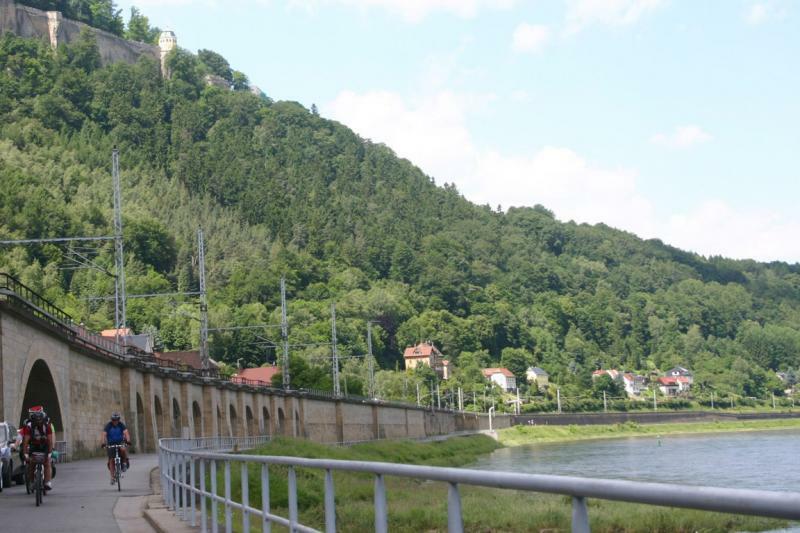 Enjoy a relaxed ride beneath the mountains to picturesque Decin, which spans both sides of the Elbe. Cycle past the 14th century Strekov Castle, looming high above the river on a basalt rock, which in spring-time is covered in golden aubretia flowers. Today you’ll have the chance to visit another clifftop castle—Děčín Castle. With its delightful rose garden, it is one of the oldest and largest landmarks in northern Bohemia. Climb up to the castle for wonderful river views. This 43-room hotel offers simply furnished rooms with hairdryer, satellite TV and internet. There is a café and both an indoor and outdoor restaurant, which boasts a good vintage wine list. Today you will cycle beneath the beautiful Elbe sandstone massif. Cross the German border and reach the spa town of Bad Schandau. As you’ve a shorter day’s cycling, why not indulge in a relaxing spa treatment, ready for your final day in the saddle tomorrow. Hotel Erbgericht offers elegantly furnished rooms, and guests can relax in the complimentary sauna which features soothing Kneipp herbal bath essences. Admire the towering Elbe sandstone cliffs as you cycle through the Saxon Switzerland National Park and past delightful riverbank meadows to Dresden. 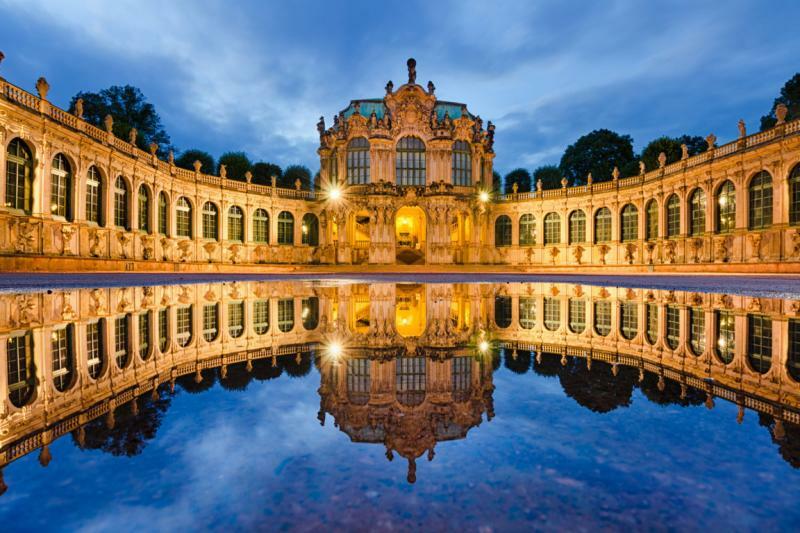 Dresden is known as the ‘Florence of the Elbe’ and is a friendly and picturesque city. Take time to relax and explore the museums and galleries of Saxony’s capital city, including the Frauenkirche Cathedral, majestic Zwinger Palace and the Semper Opera House. This modern, 3-star property is ideally located between the Elbe and the trendy district of Neustadt. Situated in a quiet side street, it is within walking distance of the famous Dresden attractions. After breakfast check out of your accommodation and make your way home. We also offer a private transfer (supplement payable) or shared transfer service (Only on Fridays at 13:00, supplement payable) back to Prague at the end of your trip. You can add additional nights at any point along the route, and we would particularly suggest that you might like to extend your stay in Prague, Bad Schandau or Dresden. Please contact us if you would like to do so. The accommodation on this cycling trip consists of 3-star and some 3-star superior hotels. All offer a warm welcome to cyclists, and comfortable en suite rooms. All accommodations are on a request basis, subject to availability. Any alternative accommodation will be of the same or better standard as those described. This tour is available to start on any day of the week between the beginning of April to the end of October. This cycling tour is graded easy to moderate. The first day has a small ascent, otherwise the route is flat. Daily cycling distances are between approx. 21-55km, which is easily manageable if you are a regular cyclist. 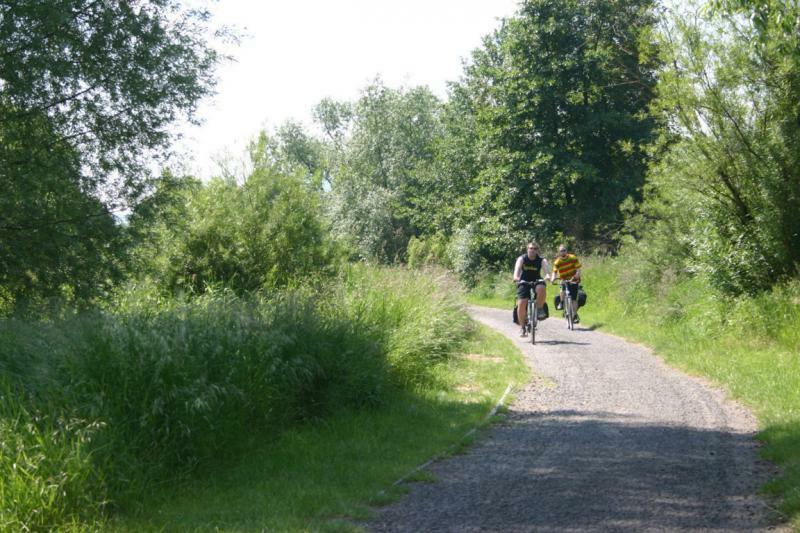 The cycle path in the Czech Republic frequently follows unpaved field roads or tracks (some of which have a gravel surface), especially along the Vltava River, or along country roads with light to moderate traffic. Well developed paths can be found between Litomerice and the German border. Once in Saxony the route follows quiet country roads, but mostly runs along even, paved bicycle paths. Your bags will be transferred between your accommodation as per your itinerary. We ask you to limit your luggage to 2 x bags (each of up to 20kg) per person. We can arrange bike hire as an optional extra. 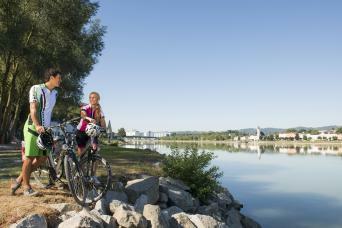 You can rent comfortable bicycles for your tour along the Elbe Cycle Path. Choose between men’s and women’s bikes in different heights and between 7-gears (with backpedal-brake) and 24-gears (without backpedal-brake). We will need to know your height if you are hiring a bike through us. By Air - There are plenty of flights from across Europe with scheduled and low-cost carriers into Prague Airport. Then take the Metro (18-24 mins) or Airport Express bus (35 mins) to the main train station. By Air - There are direct flights from Dresden Airport to London, Copenhagen, Amsterdam, Frankfut, Dusseldorf, Cologne, Stuttgart, Hamburg and Munich. Take an S-Bahn train from the city centre to the airport; the journey is just 12-20 mins. Direct train services to Berlin are also available; duration approx. 2h10. Both Prague and Dresden are well-connected by rail within Europe; see Deutsche Bahn for train timetables and fares. A detailed information pack and guide book with maps (some elements of which you will receive on arrival). Emergency telephone support from our office and local partners in the event of a problem. Travel to Prague and from Dresden. Additional nights before and after the holiday. Solo traveller supplement (if applicable). 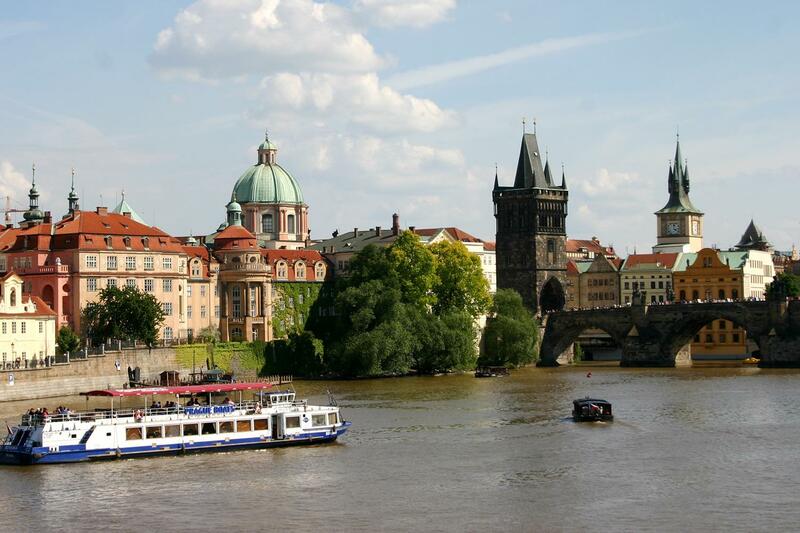 Transfer (available on both a shared and private basis) from Dresden to Prague. This cycling tour is graded easy to moderate, so you will need to have some basic fitness and we recommend that you undertake some training before your adventure! The first day has a small ascent, otherwise the route is flat. Daily cycling distances are between approx. 21-55km, which is easily manageable if you are a regular cyclist. The cycle path in the Czech Republic frequently follows unpaved field roads or tracks (some of which have a gravel surface), especially along the Vltava River, or along country roads with light to moderate traffic. Well developed paths can be found between Litomerice and the German border. Once in Saxony the route follows quiet country roads, but mostly runs along even, paved bicycle paths. Which is the best airport to fly to/from? There are plenty of flights from across Europe with scheduled and low-cost carriers into Prague Airport. Then take the Metro (18-24 mins) or Airport Express bus (35 mins) to the main train station. There are direct flights from Dresden Airport to London, Copenhagen, Amsterdam, Frankfut, Dusseldorf, Cologne, Stuttgart, Hamburg and Munich. Take an S-Bahn train from the city centre to the airport; the journey is just 12-20 mins. Dresden is also well-connected for train travel throughout Germany and Europe. Direct train services to Berlin are available; duration approx. 2h10. Prague and Dresden are well-connected for train travel throughout Europe. See Deutsche Bahn for train timetables and services. You can start the Moselle Cycle Path on any day of the week between early April and end of October. As this is a popular cycle path, early booking is strongly recommended. 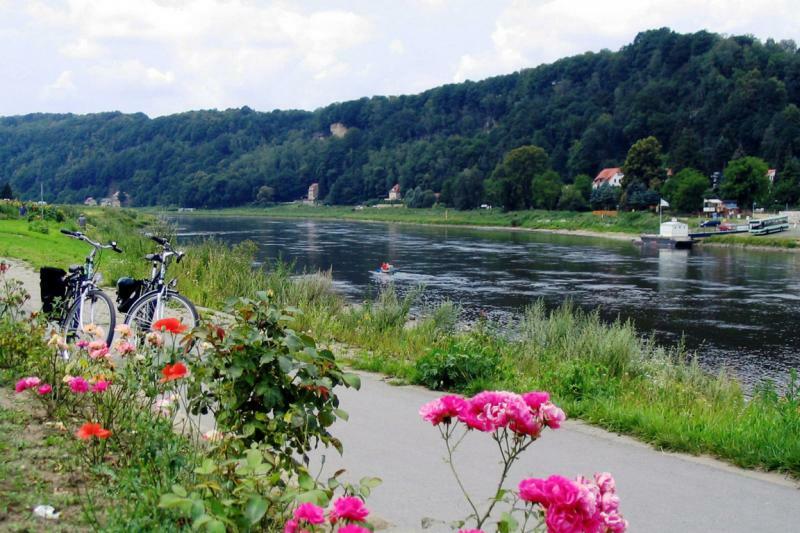 This tour offers easy cycling on flat paths along the River Elbe between two delightful European cities—what more could you want?! 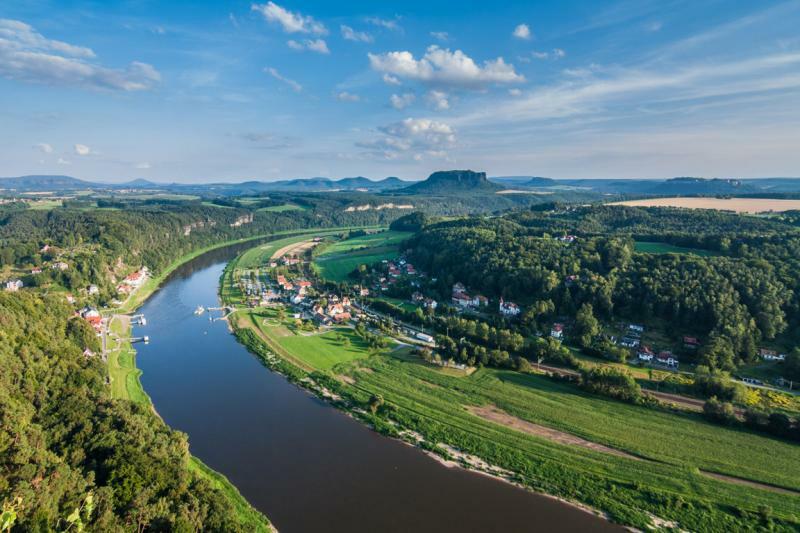 This trip is ideal for leisure cyclists, combining city culture with riverscapes, lovely historic towns and the stunning sandstone cliffs of Saxon Switzerland.